TheRealWanderer and the rest of the Protovision team presents the Forum64 & Protovision Game Competition 2017, or F64PGC 2017 for short! On this page your can inform yourself about the rules, sign up for the compo or read about how the competition progresses and what entries there are. The theme for this year is sports! It can be anything related to sports. More details on this are described in the rules. In case of ambiguity, just ask us using the sign-up form. Also feel free to have a look into the compo pages at Forum64 and Lemon64! 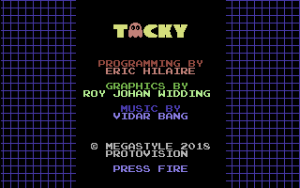 Late May this year, we collected submissions to our C64 sports game competition – and we’re loving the results. 7 different sports games were submitted. Our jury will judge the games this month. But this we already know: each and every game is a winner! Each one of the submissions unique and creative, just like we like it. The games are available for free on our website. The deadline for the F64PGC2017, which we are running in cooperation with Forum64, is extended by one more month (to the end of May), since more than half of the contestants have voted for this. As usual, there are some super sweet prizes to be won this year: a C64 Reloaded MK1 in a Dallas Moore Kickstarter housing, as well as a Xentax FM-YAM. 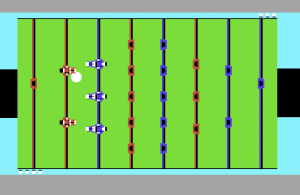 We are happy with a whopping 15 participants who have signed up to this year’s sports themed C64 game competition! signup phase is completed, now all participants are working on their projects for handing them in until end of April 2018. All entries will be released for free presumably in June. We have 14 brave participants now! But maybe there will be even more! As a reminder: The Forum64 & Protovision Game Competition (Sports!) registration period ends THIS MONTH! 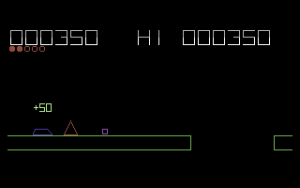 Our first Commodore64 coop game compo with Forum64 is starting well. We have 13 teams participating already, including enthusi/Veto (known from Caren and the Tangled Tentacles), Zaadii (Hack Attack), Endurion (e.g. Soulless, Guns’n’Ghosts, Awakening), M.J. (The Three Musketeers) and our own Majikeyric (Lumberjack). Also Jammer, the musician from Caren and the Tangled Tentacles, is participating as a programmer. Anyway, we still want more participants! 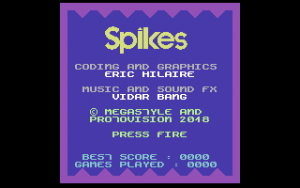 Sign up NOW until October and win hundreds of Euros with your C64 sports game! We allow also games without a single player mode now (But they will receive a 35% penalty)! We are giving away a C64 Reloaded Board (MK1) to the compo winner! Sign up on the game competition pages. The Forum64 Game Competition has been very successful and a lot of fun in the past years. 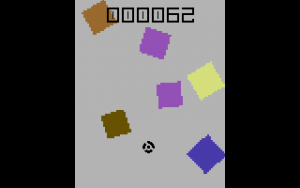 It now has a new name: Forum64 & Protovision Game Competition or F64PGC 2017 for short! The compo is still organized by same guy as before, namely TheRealWanderer (welcome our newest member!) and the rules are almost unchanged, but now you can also sign up at the Protovision homepage. A Forum64 account is not required, making it easier for participants around the world to take part in the compo! Everyone who hands in a game will receive a Protovision 5 Euros voucher for downloads and has a chance for a bigger monetary price. In addition, the winner receives his own game in a fully printed cardboard box. All games handed in will be available for free on our website. We might want to develop some of the games further and make them a physical release later on. This year’s competition is all about SPORTS GAMES. The compo starts NOW (1st of July) and runs until end of April 2018. Signing up is open until end of October. If you cannot enter the compo with a game entry but want to support it, there is a donation button on the compo page. All money collected will be passed on to the participants! Click here to open up PayPal and to donate an amount of your choice. All donations will be given to the participants!